You’ll find Activity Monitor under Applications > Utilities. It quickly and easily offers you multiple views of your system usage — everything from your processor to memory, hard drive space, and network usage. It’s a simple but powerful app that a lot of users never even know exists.Â And it can be very useful, particularly for older machines with limited resources. Under “Dock Icon,” you have five options for changing the icon into an in-Dock monitor: CPU Usage, CPU History, Network Usage, Disk Activity, and Memory Usage. 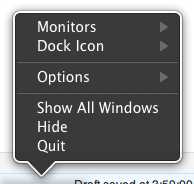 Each of these replaces the Dock icon into a constant monitor of system stats. 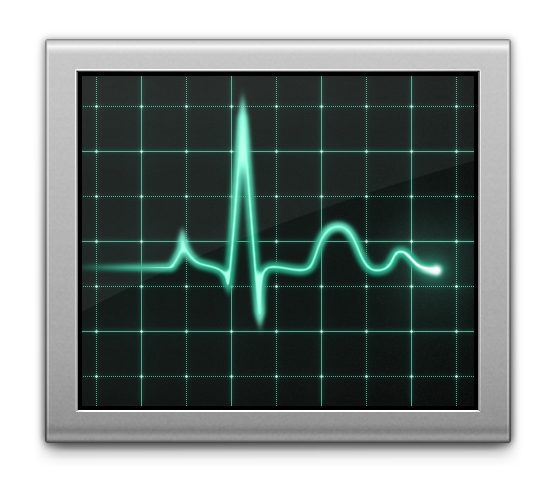 And here’s a nice touch: whenever you close Activity Monitor, OS X will remember your icon preference and automatically show it the same way next time.